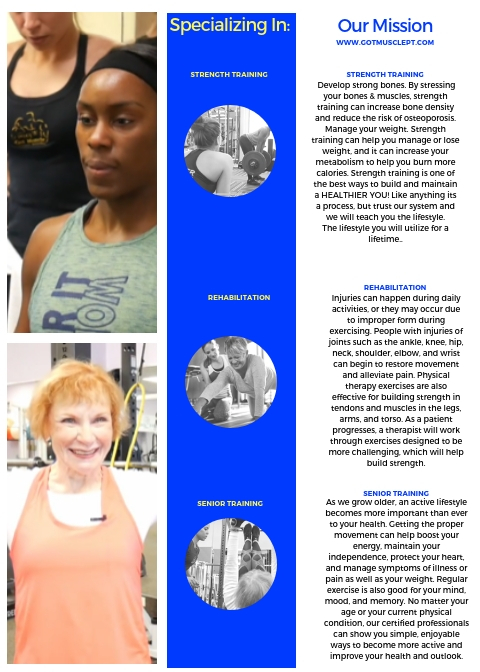 Our mission is to give you a dynamic experience, from physical results to a lifestyle impact. We will challenge you to live a better and healthier lifestyle. There’s Personal trainers, and there’s GOT MUSCLE Personal trainers. Our system and our passion speaks through our clients. If you are ready to make a LIFESTYLE CHANGE, Tired of not feeling good, or want to feel better about your self, fill out our inquire form so we can make an impact in your life!